Do you want to maximize your value to the chiropractic clinic where you work from the comfort of your own computer? Take Your Training Online, Right Now, For Free. Learn More: Watch This Video From Dr Jason Young. Every year, people seeking Chiropractic Assistants spend thousands on travel and lodging to gain initial training. This is on top of the cost for training courses and registration with the Oregon Board of Chiropractic Examiners. Avoid Costly Travel Expenses and maximize your clinical value in under 24 hours. 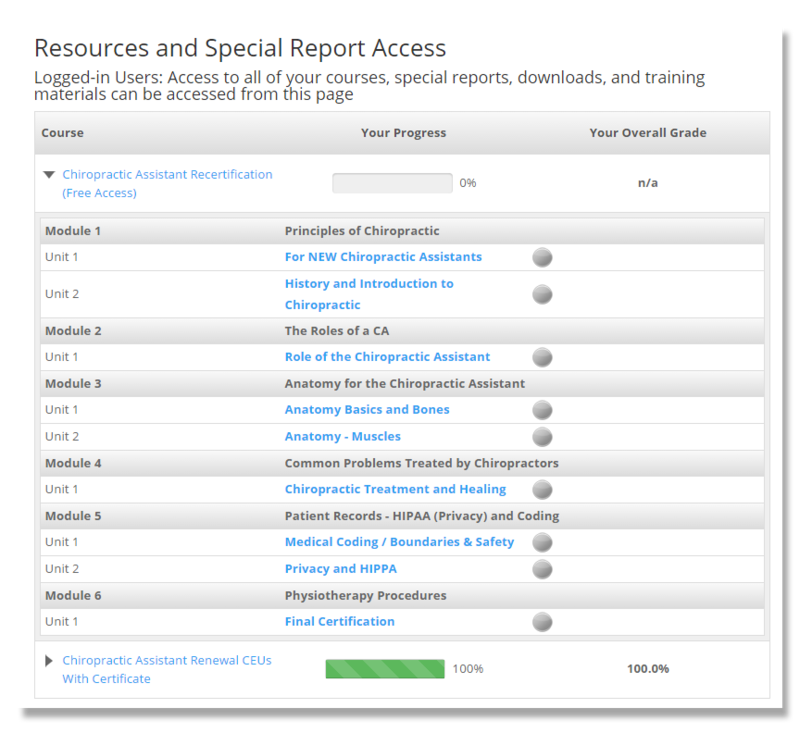 Get Started Earning your Oregon Chiropractic Assistant Certification Right Now. Immediate Access, Even if it is 3 AM! This training is valid for initial Chiropractic Assistant Certification or CA Renewal in the state of Oregon. To get immediate access to the training, which includes a certificate of completion that is automatically emailed to you upon completion of the course, enter your details in the form below and click "submit" You'll be taken to a secure checkout page and upon successful payment you will get immediate access to the course materials, which you can view from any computer or tablet. Lets get Started! Sign Up, Take the Training FOR FREE and Only Pay if You Like It! Take my entire Chiropractic Assistant Training FOR FREE. If you like the training and want to get credit for the CEUs, Pay when you are done, if for whatever reason you don't want to claim credit for your CEUs or if you didn't like the course, you pay nothing. There's not even a place for you TO pay until you have completed the course and decide it is for you. Truly, no credit card required. Sign Up via these 1-click social login buttons, or fill out the traditional form below. 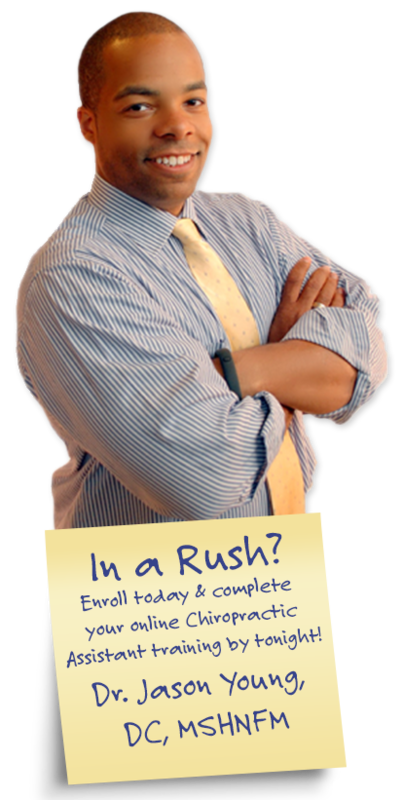 They both grant you instant access to the ENTIRE course - for free. This course meets the standards for initial certification or annual renewal of Chiropractic Assistants licensed to work in the state of Oregon.